What’s New At Arizona’s Best Kentucky Derby Party . . . The Second Annual Stella Artois Derby DayClub, which is Arizona’s only Kentucky Derby Party with live horse racing, gambling and Polo Party style tents, is getting bigger and better this year with key new elements coming to Turf Paradise on Saturday, May 6th. 1. Enjoy a variety of wheat & craft beer samples at the new Hefeweizen Beer Garden, presented by Hensley Beverage Company. 2. The Derby DayClub is providing even more betting terminals and 65” TV’s than last year for all the horse racing lovers. 3. Experience horse racing like never before. Reserve a table in the Sanderson Lincoln Black Label VIP Lounge. This includes a covered, air-cooled Stella Artois Derby DayClub Tent track-side and complimentary buffet and cocktails for all guests. All tables include a complimentary bottle of Chandon Champagne as well. Come be a part of it all! Tickets in all categories are on sale now at ThePoloParty.com/Derby. General Admission, including admission to Turf Paradise, the air-cooled Stella Artois Derby DayClub Tent along the track near the finish line, and access to the only shaded Hefeweizen & Craft Beer Garden in Arizona, starts at just $25. 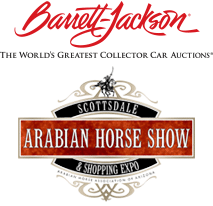 We look forward to seeing you May 6th at Turf Paradise! 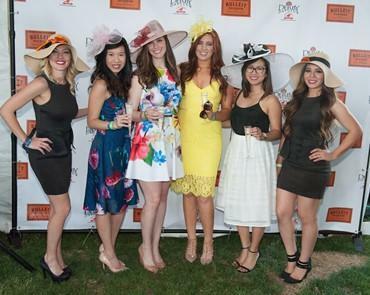 The Stella Artois Derby DayClub is a production of The Bentley Scottsdale Polo Championships, America’s most-attended polo event, and Turf Paradise, Arizona’s only live horse racing track, now in its 61st year.